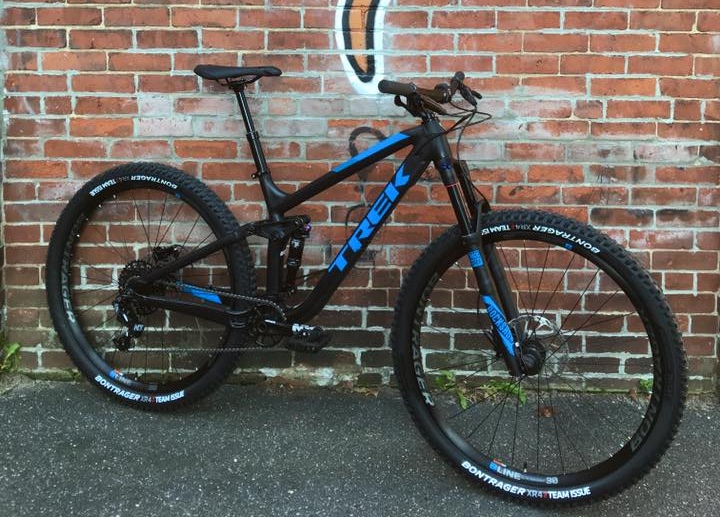 We curate a small but thoughtful collection of Trek’s mountain bike line, including models from the full suspension, hardtail, plus & fatbike categories. Many of these bikes are on the floor, so swing by for a test ride. 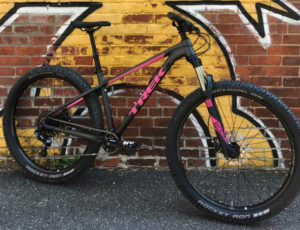 Trek’s Marlin is a great bike for people who are looking to do some light off road riding, some commuting, and some dirt road riding. Comfortable geometry, solid parts, and good looks will make this a bike that just about everyone could use! Learn more! The perfect Mountain bike for someone just getting into the sport who wants something reliable and capable, at a great price. 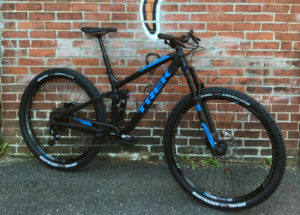 The Fuel EX is Treks go-to full suspension bike. Available in both 29 and 27.5 wheel sizes, it’s a rugged and capable ride, and will open up a world of possibilities of trail riding. Not to mention the addition of a dropper post makes a huge difference. Plus versions are available as well! Dreaming of a mountain bike you can throw around, clear obstacles, and get rowdy with? 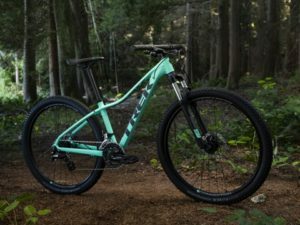 The Remedy is Treks all mountain full suspension trail bike built for just that, being extremely capable and able to handle even the most technical trails. 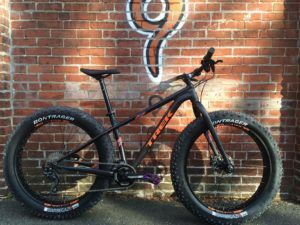 Living in New England we are in a great area for fat bike riding in the winter, and these things are a blast year round! We are fans of the Treks Farley, which comes with 27.5 wheels and big 4.5 tires. Certain bikes in the Farley line feature suspension as well. Stop by the shop and test ride one! Treks Roscoe is a mid-fat hard tail with 27.5 tires and a friendly price tag. Laid back geometry make it a blast on the trail and able to handle anything you throw at it. 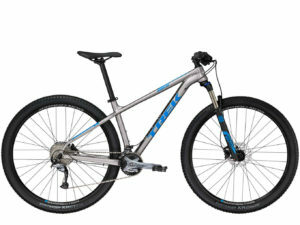 This is the perfect ride for someone new to the sport, but offers something for even the most experienced rider. New to the shop is the Niner line! While the stock won’t be super deep, we are very excited about what Niner is offering. We’ll have a small selection on the floor, as well as the ability to special order anything from their line that you can dream of. Do you enduro? These won’t be on the floor, but we sure can get ’em.